L.A. Dance Project is a platform for the development, creation, support and presentation of world-class dance in Los Angeles. 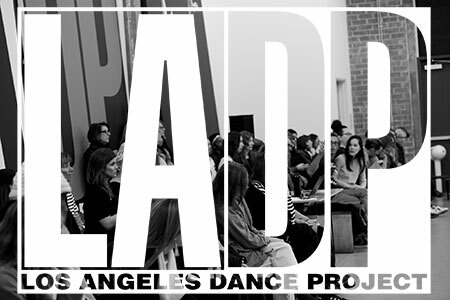 Comprised of an internationally acclaimed dance company, a performance space in LA’s Arts District, and a program of media initiatives, LADP seeks to foster dance-centered artistic collaborations across all disciplines, cultures and communities in Los Angeles and around the globe. Philanthropic contributions account for a significant amount of the annual operating budget. Your donation helps L.A.Dance Project offer artist residencies, commission new work, build community programming and partnerships, strengthen the downtown arts community, and keep our ticket prices at 2245 affordable and accessible. LADP is committed to building a vibrant and innovative dance culture in Los Angeles and we are grateful for your support in joining us in our mission. Consider this: Just one hour of physical therapy for our dancers costs $100. A gift of $250 allows an LADP dancer to offer a community outreach workshop. Your gift allows LADP to offset expenses associated with everything from dancer wellness to rehearsals, from community engagement to costume construction, and - of course - exciting new collaborations with choreographers, visual artists, composers, and musicians each season.